Ten Ton Hammer | TESO Going F2P: So What? I'm going to go ahead and disagree with Xerin's claim that the Elder Scrolls Online should have launched as Free-to-Play. I know what he's saying and don't disagree that the switch from subscription to F2P is more or less inevitable these days, but I think TESO has been handling things just fine. Launching as subscription-only and carrying that banner as long as they could seems like a winning strategy to me. Let's compare it to Star Wars: the Old Republic, because that, also, is inevitable. SWTOR had a ginormous development budget that rivals some nations' annual defense spending. It was the biggest launch in history, with millions of customers spending 40, 60 or 100-odd bucks for the various editions of the game, and many of those buying immediate multi-month subscription plans to go with it, for another 20 - 70 bucks each. As a late joiner myself (I started paying and playing 3 months after launch, in February), I dropped 60 bucks for the mid-level edition and another 80 or so for the 180-day recurring subscription. I can't say for sure whether or not EA earned all their development money back within those first few months, but they surely returned a hefty chunk of it at least. Then things started to peter out. A massive server merger helped fix some of the problems, but paying customers continued to bleed away. And nine months after launch, they followed the model set forth by Turbine, and converted to Free-to-Play with a cash shop. 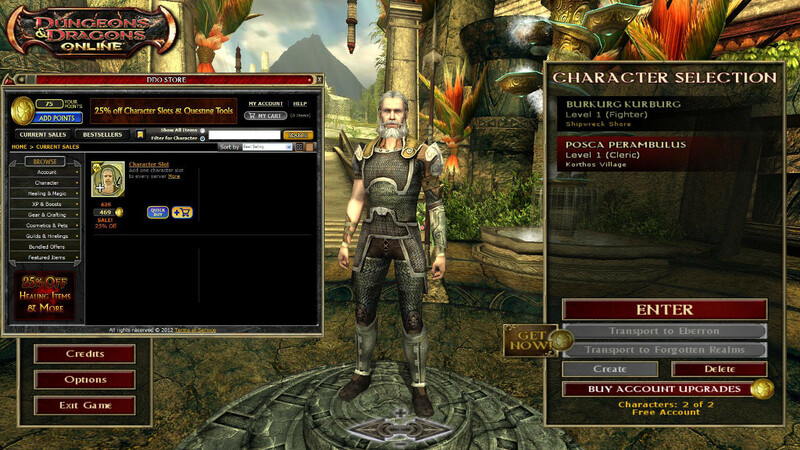 Turbine may not have invented F2P, but with the post-conversion success of Dungeons & Dragons Online and The Lord of the Rings Online, they became the masters of the Art of Western F2P Conversion. 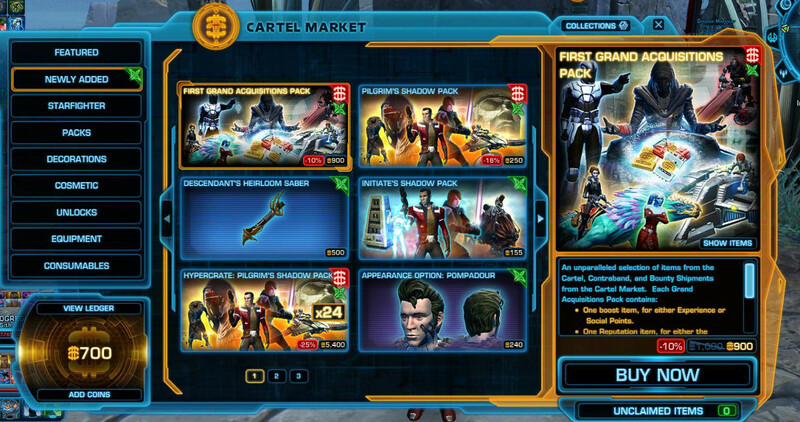 And just like Turbine, a few months after the jump, the SWTOR PR department told everyone their revenue had increased several-fold since the F2P transition, and things couldn't be better now. And all the fans of the game - myself included - breathed a sigh of relief because it meant we could keep playing for a little while longer. The sly little foxes at ZeniMax have surely been reading the same news stories I've been reading the past 4 or 5 years. They're not morons, they know the climate and the market into which they are introducing a competing product. They know the subscription model simply cannot sustain a game indefinitely like it used to. Only World of Warcraft is World of Warcraft, and anyone else trying to be WoW is setting themselves up for failure. Instead, they followed the other path, and one that I think is shrewd and calculated. Launch big, plan for a few really good months when the game is still new, followed by a few rough months when the bloom has fallen off the rose and the initial thrill-seekers stop renewing their subs. Then make a "miraculous recovery" a year or so in and bounce back as another F2P success story. Get the big money first while people are still curious, milk them for as long as you can, then switch to something sustainable over the long term selling unlocks, outfits, mounts, potions and tchotchkes for a buck or two apiece through a cash shop. Meanwhile, the rumors of failure along the way are sure to generate some precious "grassroots" media attention, and the switch to F2P will bring back lapsed customers wanting to see what all has changed since the last time they paid for the game, and also rope in the cheap players who may not be keen on spending 15 bucks a month every month for a sub, but don't mind dropping 20 here and there for permanent unlocks and cool cosmetics. And, of course, the freeloaders who want to see what they can get for nothing, and who then leave when they exhaust it. 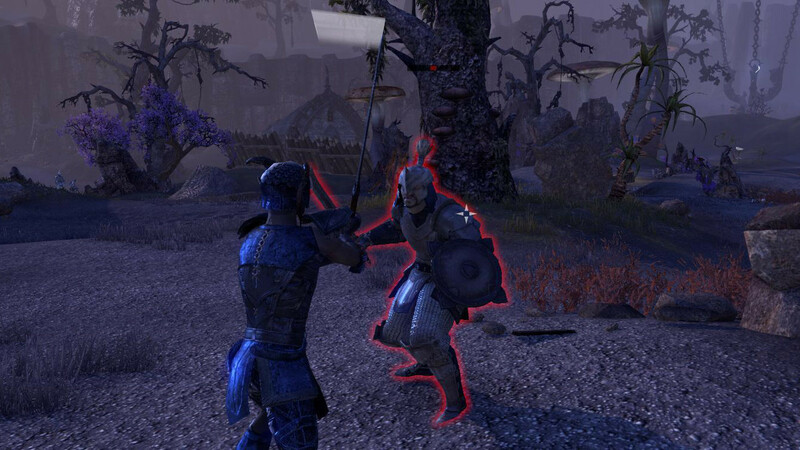 The "new" rumors about TESO's impending F2P switch are not new. They've been circulating ever since ZeniMax Online announced the game. When they later announced that they would be launching as subscription-only, it came as a surprise (even though it really shouldn't have). Now that they're dropping the 6-month sub plan (which, unfortunately, affects me directly because that's the one I have been buying) and pulling boxed copies off the shelves in Australian brick-and-mortar stores, the rumors are heating up. It wouldn't surprise me if ZeniMax have been propagating those rumors themselves. They've neither confirmed nor denied the rumors, thus allowing speculation to run rampant. That's exactly the kind of thing that Twitter was invented for, and it means we're doing their PR work for them - talking about their game. And unless your name is Bill Cosby, there's no such thing as bad press. And then again, at this point, all the talk is no more than just rumor. 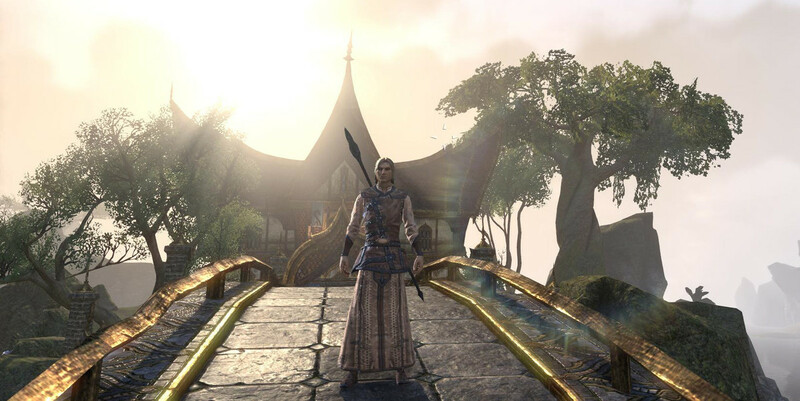 Yes, it is rumor founded in observable phenomena and based on knowledge of the MMO market, but until ZeniMax releases a statement saying, "This is when we are converting ESO to a Free-to-Play model," it's still just speculation. So speculate away! When do you think TESO will make the switch? And do you think it will help or hurt the game? Let us know in the comments!